Once again this year, many go fans were reunited on the two weekends of November 26-27 and December 3-4, as for the fifteenth time the Paris Ouest Go Club hosted the 34th Paris Meijin tournament. Regular supporters Canon France, the Asahi newspaper, the Nihon-Kiin, Nippon Transeuro and the Association of Expatriot Japanese from the Fukushima Region all supported the tournament. During the first weekend 59 players, with strength ranging from 20 to 5-kyu, entered into five rounds of competition. Each year it seems that the level of play is higher, perhaps because many players train on the internet. At the end it was 12 year old Vu Linh Tu (5-kyu, right) who was the victor of Section C with 5 wins out of 5, whilst Antonin Masseau won the 10-kyu category. See full results. During the second weekend there were 64 players whose strength ranged from 4-kyu to 6-dan. 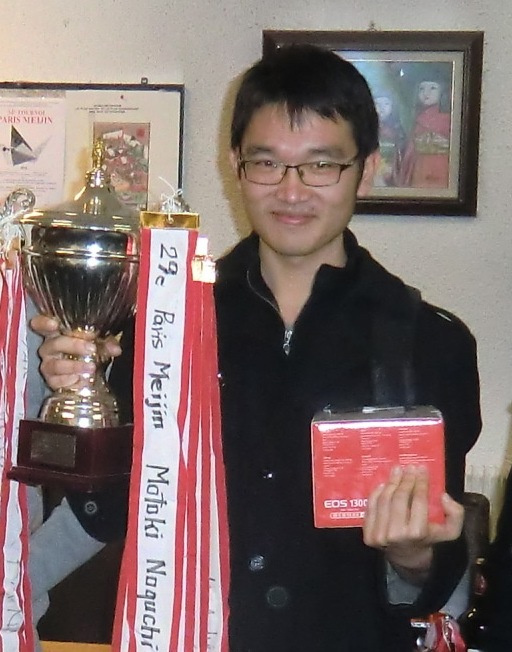 Players above 1-dan played in Section A, whilst the rest played in Section B. Amongst the 34 players in Section B was Vu Linh Tu, who had qualified from the previous weekend, and he won this section too, beating Frédéric Berthomier (1-kyu) in the final. See full results. In Section A, Jiaxin Gao (right), a visiting 6-dan student from China, emerged victorious over all his adversaries. 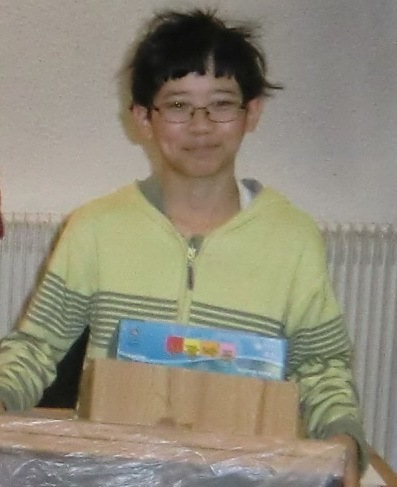 Jiaxin is studying Computer Science at Paris-Sud University and hopes to take part in more tournaments in France. See full results.